It is not always clear whether those few drinks you had will put you over the legal limit. Just about everyone is in danger of getting a DUI at some point in their lives. Police, prosecutors and the courts treat DUI charges very seriously and often more seriously than violent crimes. Drunk driving charges can be charged in various ways, from DUI to Physical Control of a Motor Vehicle to Negligent Driving in the First Degree. DUI charges carry mandatory jail time and license suspension in addition to expensive fines and probation. Only a skilled attorney can help you get through this complex area of law and lead you to the best outcome in your case. During a DUI traffic stop, police officers have to follow strict procedures in order to have a case against you. A skilled attorney will know what the officers did wrong or should have done and use that information to fight your case. Every DUI case is different and having handled hundreds of these cases, I know which direction to take your case. Sometimes cases need to go to trial and sometimes they need to settle. Either way I will fight tirelessly to get you the results you want in your case and to protect your rights. Contact Kris Carrasco for a free consultation. A DUI in Washington is defined by R.C.W. 46.61.502. You can be charged with a DUI if you are driving a vehicle with a Blood Alcohol Concentration (BAC) of 0.08 or higher or you are under the influence or appreciably affected by alcohol or other drugs. Being under the influence or appreciably affected means that they can charge you even if you refuse a BAC test or they believe you are under the influence of something other than alcohol. 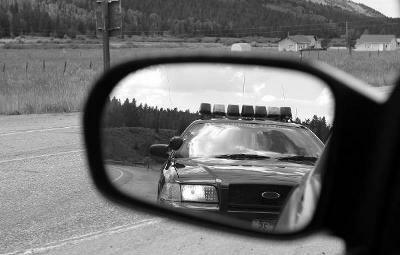 When a police officer conducts a traffic stop, the officer has certain rules he or she has to follow in order to act within the law. In Washington, the driver of a vehicle is protected by constitutional protections from unreasonable traffic stops. Only an experienced DUI attorney can determine whether the officer conducted a legal traffic stop. Washington has mandatory minimum jail sentences for DUI offenders, depending on how many prior DUI’s you have received in the prior 7 years and what your BAC was or whether you refused to take the test. If your BAC is above 0.08 but below 0.15, your mandatory minimums are less than if you refused to take the BAC test or your results were over 0.15. In addition to a jail sentence, DUI mandatory minimums include a sentence to electronic home confinement (EHC), DUI Victim’s Panel, Alcohol Evaluation and Treatment, use of an Ignition Interlock Device, 5 years probation, license suspension and costly fines. EHC is basically home imprisonment. The cost of EHC is $45 to set up the program, which requires a landline phone and $15 a day. Prior DUIs within 7 yrs. Kris Carrasco is experienced in handling DUIs and other criminal and traffic offenses. Mr. Carrasco can help you navigate through the complex laws involved with a DUI can help you get the best possible results in your case. If you are charged with a DUI in the Vancouver area – call today for a free, no obligation case evaluation.